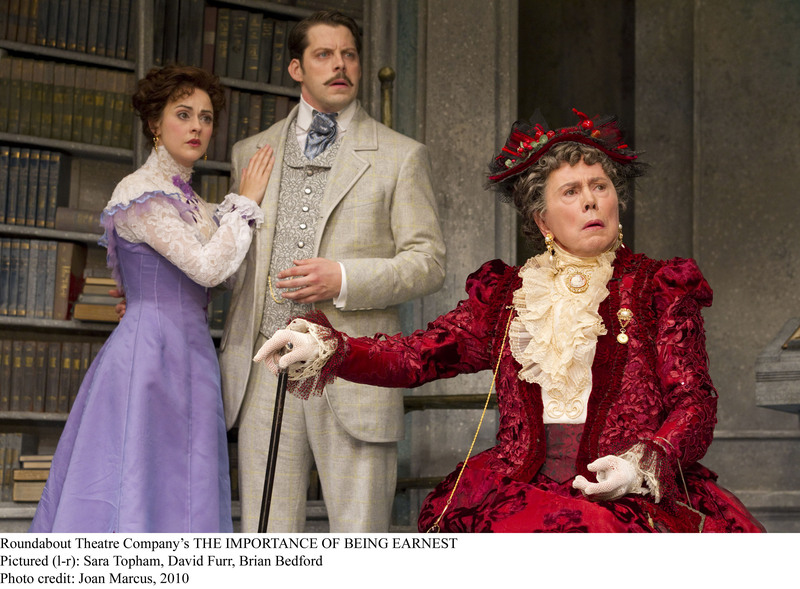 Roundabout Theatre Company’s critically acclaimed Broadway production of Oscar Wilde’s comedy The Importance of Being Earnest, directed by and starring Brian Bedford, will be captured live during public performances for limited presentations in movie theaters and performing arts centers across the U.S. and internationally. This acclaimed production of The Importance of Being Earnest will be presented in El Cerrito by Rialto Cinemas Cerrito on Thursday, June 2 and Monday, June 13 at 7:00 pm. The Importance of Being Earnest is a glorious comedy of mistaken identity, which ridicules codes of propriety and etiquette. Dashing men-about-town John Worthing and Algernon Moncrieff pursue fair ladies Gwendolen Fairfax and Cecily Cardew. Matters are complicated by the imaginary characters invented by both men to cover their on-the-sly activities – not to mention the disapproval of Gwendolen’s mother, the formidable Lady Bracknell. All presentations will be at 7:00 pm. Individual tickets are $22 for adults, $20 for Seniors and $15 for Children. Tickets are available through our virtual box office at http://www.rialtocinemas.com. Rialto Cinemas Cerrito, located at 10070 San Pablo Avenue at Central in El Cerrito, opened as Rialto Cinemas Cerrito in July 2009 and presents first run films AND serves traditional movie concession items as well as meals, beer and wine. The Showtime hotline is (510) 273-9102 and the website is www.rialtocinemas.com.